Where did all my Youtube Adsense Money Go? So just in case you were like me and wondered where the hell all your youtube earnings went on adsense, listen up. As of April 1, Google Adsense has moved all of it’s adsense earnings reporting to the Youtube Analytic Tool. All future revenue reporting for your youtube videos and whatnot will be found in that tool. Your payouts will continue to be payed out by Adsense but the reporting can only be found on youtube, which isn’t a big deal but I wish they would have warned me. Maybe they did and I missed the memo. 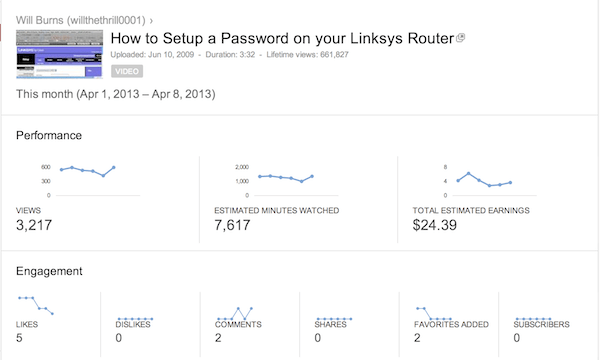 Anyway hit the link to checkout the Youtube Analytic Tools and the other to learn more about the change. Okay so after I updated my iPhone to iOS 6 airplay didn’t work with my Apple TV. If you’re reading this I’m assuming yours isn’t working either. Oh and let me guess you are probably on a Verizon Fios customer.  I did a little bit of research and it turns out there is a setting in some Verizon Fios routers called IGMP Proxy which is enabled by default. If you disable this setting it will get your airplay back up and running in no time. If you don’t subscribe to Verizon Fios you can still try and disable this feature but you are on your own when it comes to how to accomplish that. Here is how it you get it done on a Verizon Fios router. I think it’s a sign that you ‘re getting older when your childhood toys begin to become collectors items. This came to my attention when making a recent purchase of the board game Crossfire, also known as CROSSFIYEAAH! A friend at work purchased one and I was instantly jealous which caused me to start stalking some ebay Auction. I was a little shocked to find out that a Crossfire game with most its parts will run you at least $50-$60 bucks on ebay if you’re lucky. 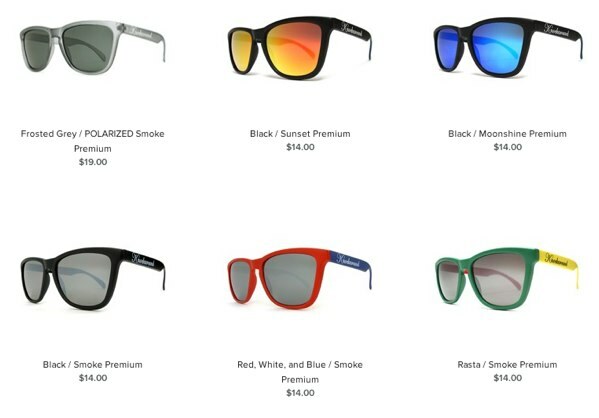 People on Amazon want at least $99 for one and they aren’t even new. 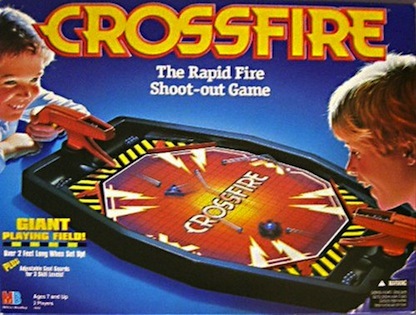 Crossfire, as I know it, is a little bit different than the original from 1971 which was a little lack luster in appearance and didn’t feature a curved playing surface to facilitate the metal balls returning to either side. Other than that the game hasn’t changed much. I think what made the game so popular was the commercial that ran in the mid-90’s. It featured two boys, in what we can only assume is the future, flying into the smoke and fire filled Crossfire arena on large Crossfire pucks, surrounded by a crowd of cheering people. They begin their epic Crossfire battle with the looser spinning and flying off into the distance in defeat. Of course who can forget the theme song and tag line “Crossfire… you’ll get caught up in the… Crossfire”…followed by a long scream of CROSSFIYEAAH at the end of the commercial. All of that to say I hope I don’t have many more nostalgic moments from my childhood because I don’t think I can afford it. Everyone has heard of Instagram, but Yenztagram is something completely different. 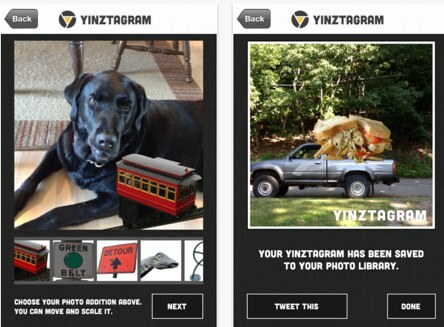 Yenzstagram allow you to put well known pittsburgh celebrities, places, and things right into your pictures. Not that much fun for people who don’t live in Pittsburgh, but a fun novelty for those who do. Mentioned on the 96.1 Kiss Freak Show, it’s sure to be a hit in the 412 in no time at all. Their name is a little bit unfortunate however, when you type it into the app store it forced you to search for instagram, so you will just have to follow this link.